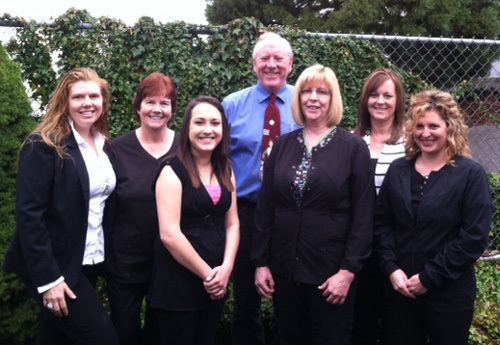 Susan - Certified Dental Assistant/Expanded Function since 2004. She was born and raised in the North Douglas County area. She enjoys working and helping the people in her community. Susan likes to spend her free time traveling thru Oregon and taking pictures of it. Sue - Expanded function dental assistant has worked with Dr. Randol since 2008 and has worked in the dental field for 30 years. She and her husband like to RV and enjoy birding. Shelley - Shelley is our new Hygienist, who joined our team in September 2013. She is not new to the dental field, starting her career as a registered Dental Assistant in 1995 and later becoming a Dental Hygienist in 2006. She attended and graduated from San Joaquin Valley College in southern California. Shelley has been a resident of Douglas County since 2012. During her free time she enjoys outdoor activities with her 10 year old son and her husband of 15 years. She is also an avid horseback rider competing in endurance with her Arabian. Kim - Kim is our Financial Coordinator/ Treatment Coordinator. She has been with Dr. Randol since 2009. She has been in the dental field for over 10 years, here in Douglas County. Kim has lived in Douglas County all her life being born and raised here. During her free time she enjoys spending time with her kids and grandchildren. Wendy - Dental Hygienist. My name is Wendy Dougherty. I am a Douglas county native. I married my high school sweetheart in 1997. We now live on a ranch outside of Oakland. Life is never dull raising four children. We are deeply tied to the community through our many activities. I enjoy being creative, the great outdoors, gardening and music. I am involved with several ministries through Family Church in Sutherlin. I started in dentistry while still in high school and knew it was the place for me. Prior to attending dental hygiene school I worked as a dental assistant and receptionist. I graduated from Lane Community College in 2006 with an AAS degree. I began working with Dr. Randol in 2008 and it is a joy to be part of the team. I find it very rewarding to get to know my patients.